In this paper, we propose and numerically demonstrate a new type of highly confined low-loss mid-infrared hybrid plasmon–phonon mode by incorporating graphene with hexagonal nitride (hBN) above a dielectric substrate. Here, we have conducted the plasmonic properties of two hybrid plasmon–phonon waveguides which consist of an hBN–graphene–hBN on substrate (hGhS) and a graphene–hBN–graphene–hBN on substrate (GhGhS). It is found that Fermi energy of graphene (Ef) and thickness of hBN (H) are two key parameters in this study. Comparing the modal properties of GhGhS and hGhS waveguides, it is found that the change in H and Ef results in the following benefits: (i) for an ultrathin hBN layer (H=1 nm), the Re(neff) of the GhGhS waveguide shows a ninefold enhancement as compared with the hGhS waveguide, leading to a strong field confinement of the plasmon–phonon edge mode in the GhGhS waveguide. 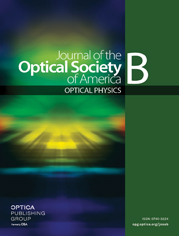 However, by increasing H, low propagation loss, reasonable field confinement, and high optical performance can be realized simultaneously in the GhGhS waveguide. (ii) By increasing Ef from 0.2 to 1 eV, the propagation length (Lm) and figure of merit of the GhGhS waveguide show nearly threefold and twofold enhancement at 1550 cm−1 as compared with the hGhS waveguide, respectively, resulting in a larger Lm and a better optical performance. These results confirm that the GhGhS waveguide not only improves the balance between confinement and propagation loss but also provides strong coupling and hybridization of the plasmon–phonon mode of graphene with hBN.